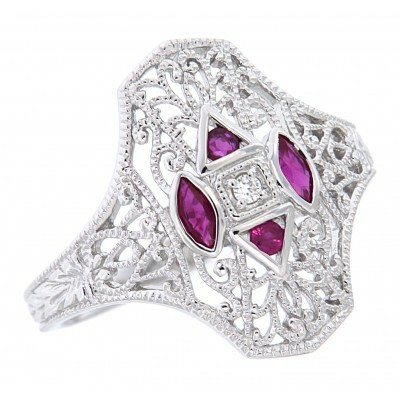 14kt White Gold Filigree Ring has 4 Genuine red ruby gemstones and a center mounted diamond. 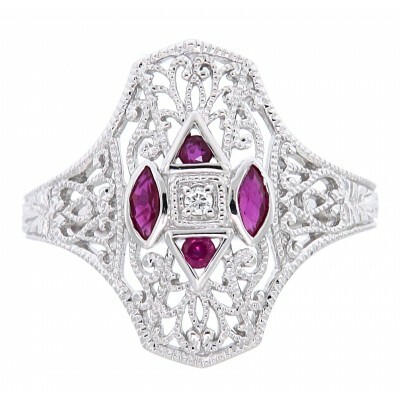 Handcrafted in the Art Deco style, this filigree ring features a center mounted genuine diamond, surrounded by 4 natural ruby gemstones. 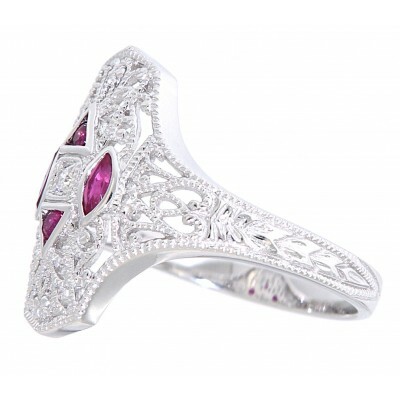 The elegance of the 14kt White Gold filigree setting gives this ring its distinctive flair. Diamond is the birthstone for the month of April and the sixtieth anniversary stone.